The Airstream Carry-Bike, developed with, and approved by Airstream, has been designed to fit current Airstream Trailers with aluminum bumpers. It can be adjusted to fit Airstream Trailer models 1969-current. Precision-manufactured from light weight extruded aluminum. Weight capacity of 77 lbs. Holds 2 bicycles. Mounts on the rear of the Airstream trailer. Loading and unloading is quick and easy. 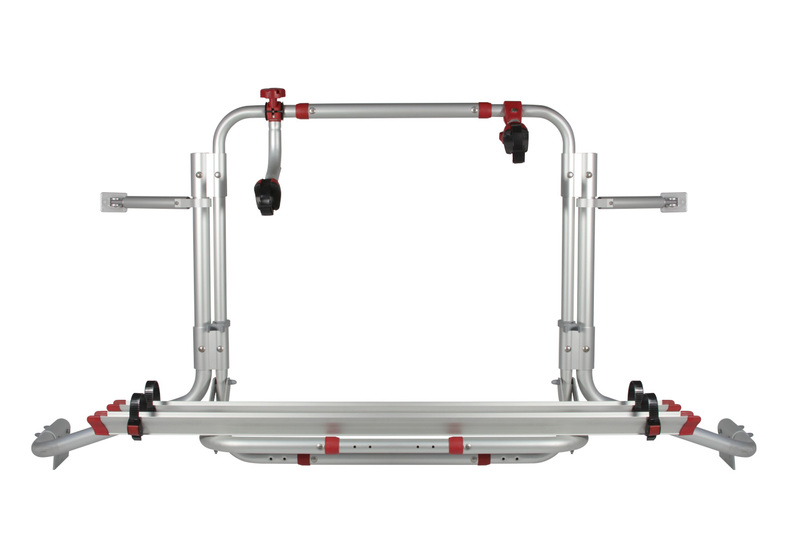 Supplied with: 2 Rail Quick Red, 1 Bike-Block Pro 1 and 2 Red, 2 Rack Holder. 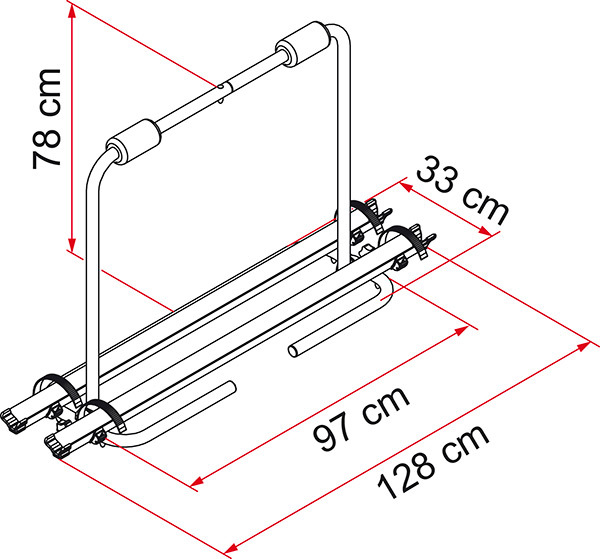 Before ordering be aware that installation of a bike rack could potentially, depending on floor plan, affect the access to rear compartments, bumper storage and rear/egress window. Mentioned prices are suggested retail prices, Vat, Installation, Duties and Transport cost excluded. Name must be between 3 and 50 characters!